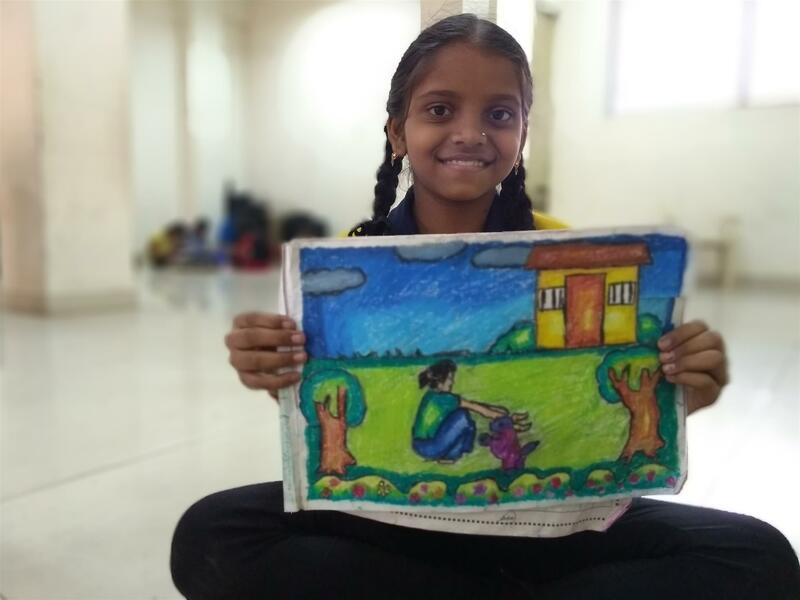 In Dharavi since the past three years, our children have been exploring their inner artists through drawing classes conducted in the community centre. 11-year-old Sneha is excited to go to these classes and has completed level 2 of the class. She enjoys drawing even in school and her teachers are also impressed with her work. “Our drawing teacher in the centre is very good. I love to draw and paint and this is my favourite drawing,” says 11-year-old Sneha, pointing at the picture of a girl and her mother. “The number of children who are attending the classes are just increasing in number. We do not just teach children art, but through art we teach them the value of patience. Painting requires a lot of patience, which some children possess but others have to develop. Many children come from very difficult backgrounds and may find it difficult to express themselves. The kids understand that we take drawing seriously and over time their behaviour changes and we are able to connect with them. We have three levels to this course. Level 1 uses pencils, crayons; Level 2 teaches kids to use water colours and Level 3 is a mix of pastels, colours, everything,” says Abhijeet, the teacher from Dharavi Art Room. Dharavi Art Room is a non-profit that utilises the medium of art to empower children and women of marginalised communities. Children aged 6 years and above are eligible to join the initiative. There are four levels in the drawing classes. The first level is a basic level where the kids are free to draw whatever they think of. Through this level, we get to interact with the kids. In the second level, they have to narrate a story through their drawings and that is when they learn the art of story-telling. In the third level, they are introduced to various styles of art apart from drawing and painting. And in the fourth level, they have to choose one art form and make their own art work. “Our children have really benefitted from the drawing classes. Children who would not be able to draw anything are now drawing so well. One big improvement I have observed among the children is that they are also better behaved and have become more patient. 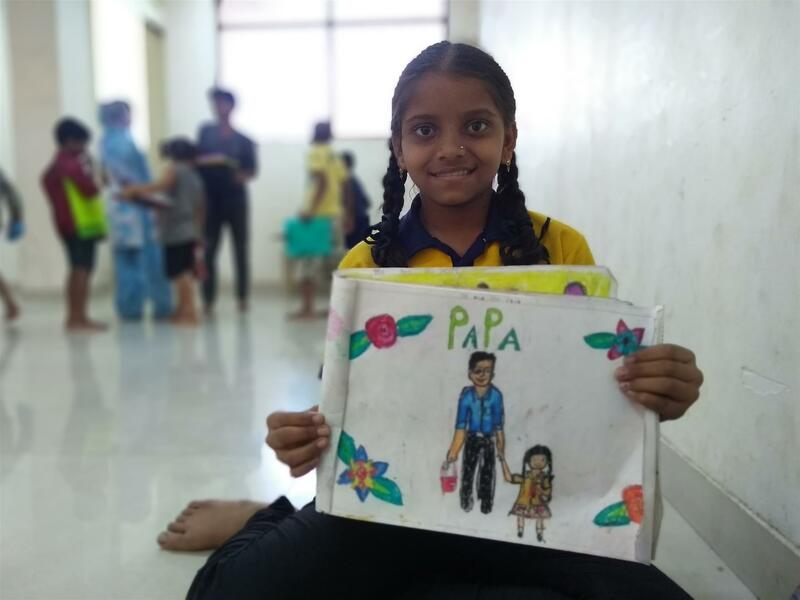 Even their parents are eager to send them for the drawing classes,” says Sunita Biyani, a community development facilitator with World Vision India. Currently there are 60 children enrolled in the drawing programme. World Vision India’s Dharavi Area Development Programme (ADP) bears the fees of Rs. 1000 for each child, as well as the supplies that are needed for the class. The teacher visits the centre four times a week and has to take three different batches to accommodate the growing number of children. Nothing like helping children in Dharavi.. 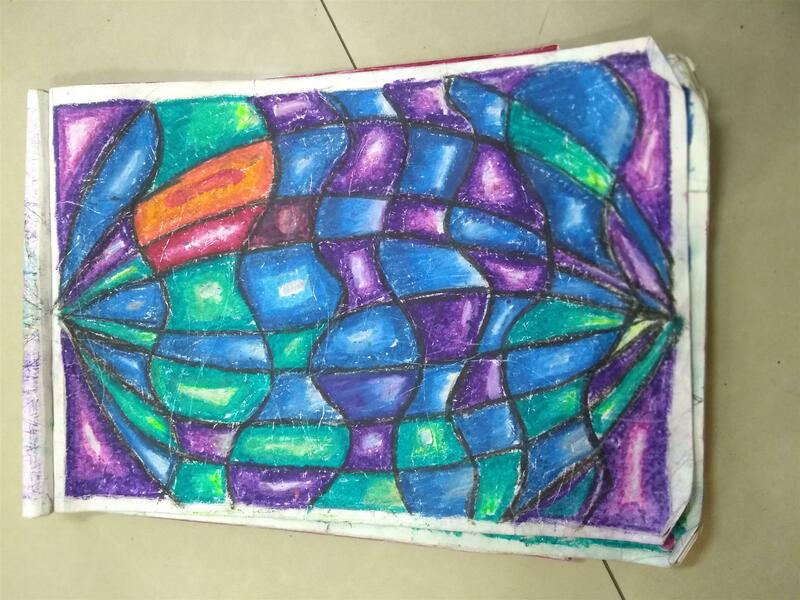 I WILL LIKE TO SPONSOR –SNEHA -11 YEARS ARTIST. Hi Rahimlateef, thanks for writing to us. Sneha is already supported by World Vision India. Could you please sponsor another needy child instead of Sneha? Log on to bit.ly/wvchildsponsorship and select a child to sponsor. Its very nice to hear that the children in Dharavi are learning art to express themselves.